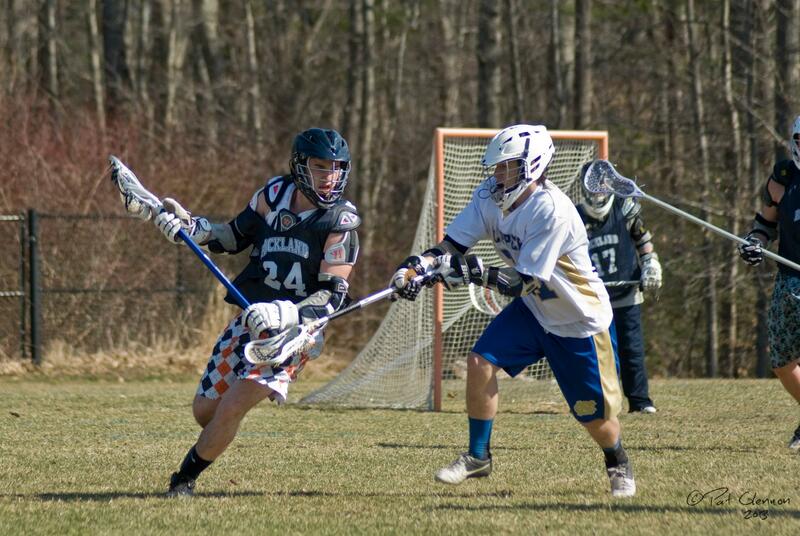 Rockland’s first lacrosse game against Norwell. 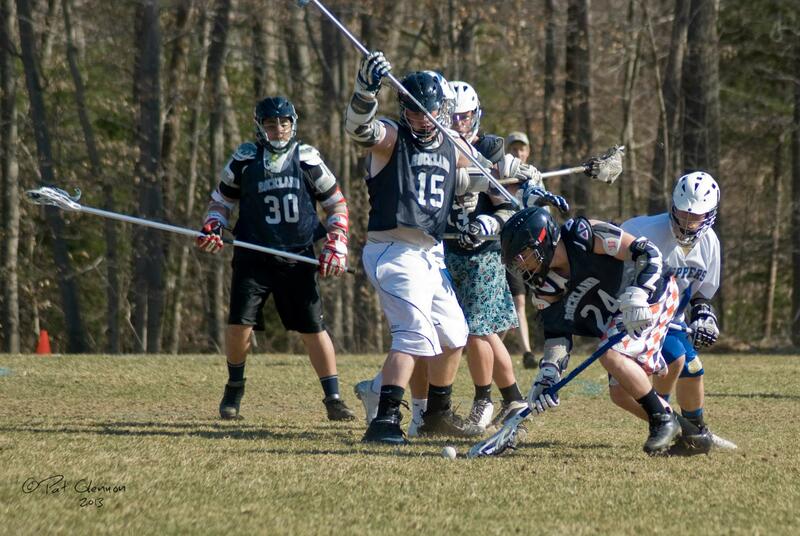 There’s a new dog in the pound: it’s the RHS lacrosse team. There will only be a junior varsity team for the next two years but the sport is already becoming popular around the school and 28 players have joined the team. The team is coached by Rockland’s own Dave Taylor. Mr. Taylor has run the youth program for the past three years.Rockland is trying to expand interest towards the sport through the youth programs. You might have noticed how a lot of the lacrosse players are walking around with pink Mohawks. The idea for the hairstyles and color came from sophomores Joey Reardon and Alec Donegan. Monday, April 22 Baseball @ Norwell 4 pm; Girls Tennis vs. Norwell (Home) 4 pm. Wednesday, April 24 Girls Tennis vs. Milton (Home) 4 pm. Thursday, April 25 Boys Tennis vs. Middleboro (Home) 4 pm; Girls Lacrosse @ Cohasset 4pm; Baseball vs. Middleboro (Home) 4 pm; Girls Tennis @ Middleboro 4 pm; Softball @ Middleboro 4 pm; Boys and Girls Track @ Randolph 4 pm.